The Syrian opposition will form a provisional government in late August following months of failed efforts, says National Coalition chief. The Syrian opposition will form a provisional government in late August following months of failed efforts, Syrian National Coalition chief Ahmad Jarba said on Tuesday. "I expect a government in exile to be formed around 10 days after Eid al-Fitr," the Muslim feast that falls on August 8 or 9, he told the AFP news agency in Doha. "There are several candidates" for the post of prime minister, he said, adding one "will be chosen by consensus or through election." The last attempt to form a provisional government collapsed earlier in July when rebel prime minister Ghassan Hitto resigned after nearly four months of failed efforts. "Negotiations with the regime should be restricted in time," he said, according to AFP. “Talks "cannot last three years, for instance, while the regime continues to kill our people." Jarba and other top coalition leaders met French President Francois Hollande and US Secretary of State John Kerry last week in an effort to secure weapons supply. According to figured released by the United Nations, over 100,000 have been killed during the over 28 months of conflict. 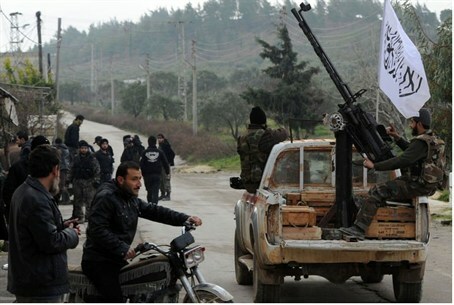 The "political" leadership of the Syrian opposition has long been accused of being "disconnected" from the Free Syrian Army factions actually fighting the Assad regime on the ground, and of ineffectiveness due to constant infighting and relatively little progress.